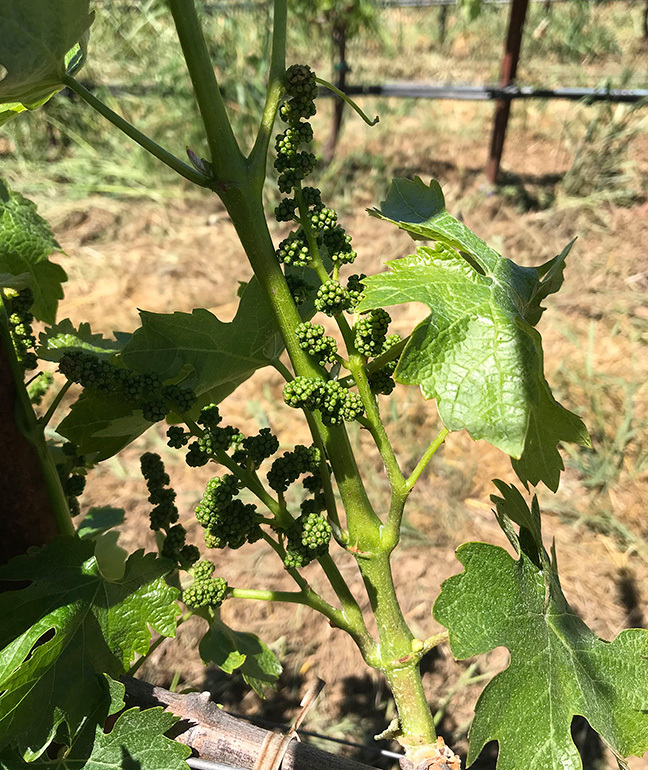 As we write this issue of our newsletter, the promise and rebirth of Spring has transitioned into Summer, lifting us past the hardships of last October as we now anticipate and enjoy all the excitement and activities taking place in the vineyard over the next several months. At our winery, we just finished bottling the 2016 vintage of Pulido~Walker Cabernet Sauvignon, which is shaping up to be another spectacular vintage. We hope this Summer renews your spirits and provides many opportunities to share pleasures of the table with friends and family. Jeb Dunnuck, formerly of Robert Parker’s Wine Advocate, characterizes the 2015 Pulido~Walker single-vineyard designate from the higher-elevation site of Melanson Vineyard on Pritchard Hill as “…an incredible wine that flirts with perfection…this beauty offers saturated purple color as well as heavenly notes of purple fruits, white flowers, coffee beans, and building, undeniable minerality. Full-bodied, perfectly balanced and layered, with an incredible mix of elegance and richness, it’s a tour de force from winemaker Thomas Brown that will keep for two to three decades.” 99 points —JebDunnuck.com, December 2017. We celebrate the release of this extraordinary vintage of Pulido~Walker Cabernet Sauvignon from Melanson Vineyard in August. Shipments will begin in October, weather permitting. 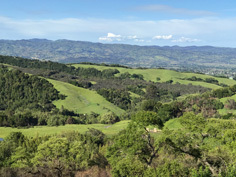 The 2015 vintage was an eventful growing season across the valley. The result: high-quality fruit at much lower yields. Unseasonably warm weather early in the year accelerated bud break and bloom, then a cold snap in late Spring resulted in an uneven fruit set. Cold spells can have a heightened impact on higher-elevation vineyards in particular, as happened with the Melanson Vineyard in 2015. Although yield declined by about a third, the shatter we saw during Spring bloom paved the way for a big bump in quality and flavor concentration as the remaining fruit matured. “A naturally small crop has a huge effect on quality,” our winemaker Thomas Rivers Brown explains. 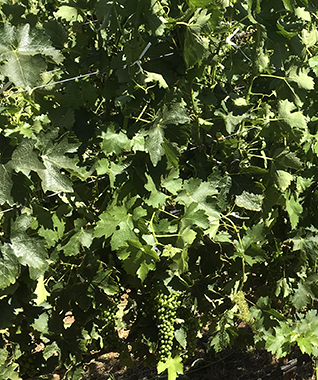 “We can’t duplicate that by dropping fruit.” Berries in the Melanson Vineyard hung longer and in looser clusters for the remainder of the 2015 season, ultimately making the Pulido~Walker Cabernet Sauvignon from this site a better wine. Due to the very limited production of this vintage (only 215 cases) allocations will be adjusted. We apologize in advance if we are unable to provide you an allocation during this release. 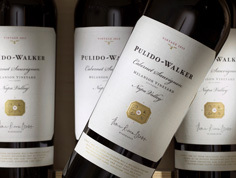 Pulido~Walker single-vineyard designate wines are normally packaged in our custom three-bottle birchwood box. However, beginning with the 2015 Melanson Vineyard release, we will also offer a lighter-weight three-pack carton. If you prefer the carton option, be sure to select it when placing your order. Through the dormancy of winter, our Mt. Veeder Estate vineyard was active with preparation for the growing season with pruning, wire adjustments, irrigation inspections, weeding, and mowing. All this early work in the vineyard has been completed with our team’s characteristic meticulous attention to detail. By early May, the Chardonnay and Cabernet Sauvignon were both growing well, with clusters clearly viewed. Shoot-thinning protocols were initiated. By early June, both had progressed through bloom and the fruit set. Our post–Bottle Rock Music Festival afterglow continued with an all-hands team meeting in our Estate Vineyard. With Thomas and our vineyard manager, Josh Clark, we walked the blocks reviewing the four clones of Cabernet Sauvignon and three clones of Chardonnay grapes. All the vines are healthy and we are excited about the fourth leaf showing high promise for our inaugural harvest this Fall. The next activity will be dropping green clusters—perhaps even two times for focus on low yields and exceptional quality. Everything is tracking for a high-quality inaugural vintage from our Mt. Veeder Estate. We wish you a Summer filled with family, friends, and wine! We are pleased to share with you our seasonal newsletters.